Google has finally decided to accord mobile-friendliness along with indexed apps the importance from a ranking perspective, after a long period of testing. They have recognized that you are making more use of their mobiles to surf internet and want to reward sites that are mobile friendly by ranking them higher. A new algorithm will come into play from April 21 and this would impact mobile searches globally in all the languages. Google has suggested that you as a webmaster should prepare for this change by taking the mobile friendly test and check out the mobile usability of your site through the Mobile Usability Report in the Google Webmaster Tools. In addition, Google will with immediate effect regard all information from the indexed apps as one more ranking factor to decide search engine ranking of sites. All signed-in users like you that have installed the apps will benefit from this and more importantly content from such indexed apps will also rank higher for relevant queries than before. It becomes therefore imperative for app developers like you to now strike a relationship between their own Web pages and the app links they point to. Help you find sites that are mobile friendly within the search results. It will have an impact across languages globally and you will now find it much easier to get the results that are fully optimized and suited to display properly on their devices. Most appropriate and relevant app content will feature in the search results. Google will use the data they get from all indexed apps for this purpose. This will enable them to push such content more prominently and ahead of others to provide full value to you as the visitor to that site. This debate on whether a mobile-friendly site was necessary for a winning SEO strategy has been going on for some time. But this latest announcement from Google signifies that if you as a webmaster cannot make the necessary changes to make this transition, you could lose out big time. 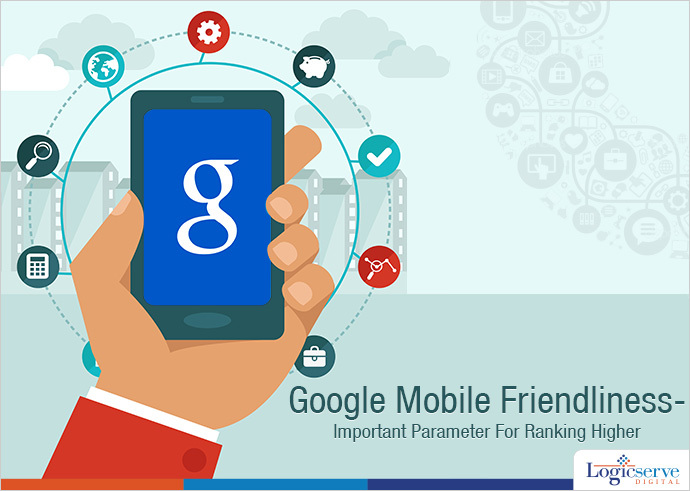 Unless you are able to put forth a mobile-friendly site by April 21, you will suffer loss of ranking. This initiative was expected as even recently Google was encouraging webmasters to make sites mobile-friendly, sending out notifications through their GWT. They also added the mobile usability report and launched the mobile-friendly testing tool within the GWT as clear indicators of their intentions. More and more sites will now race against each other to fulfill this requirement. Those of you are already there will benefit earlier. It is clear that only mobile-responsive sites will get the preference from search engines like Google for ranking as it is believed they provide a much better user experience.